Launching of Customer Care Smart Zone ! 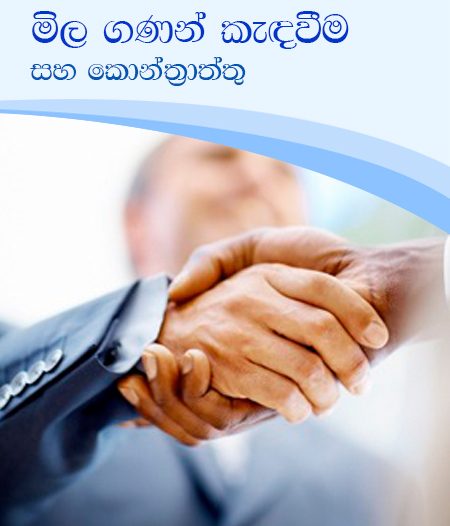 2019 ලෝක ජල දිනයට සමගාමීව පවත්වනුලබන දීප ව්‍යාප්ත පාසල් තරඟාවලිය. නුවර සහ කුරුණෑගල අප ජල කළමනාකරණ ව්‍යාපෘති සඳහා ඩොලර් මිලියන 500ක් - අමාත්‍ය රවුෆ් හකීම් මහතා පවසයි. 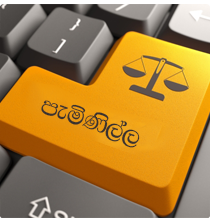 අනුරාධපුර දිස්ත්‍රික්කයේ නිකවැව - මාමිණියාව ජල සම්පාදන ක්‍රමය සංවර්ධනය කරන ලදි. A school Programme about Water Conservation @ Daluwakotuwa St Anne's College - Negombo held on 2018.05.24. අභිනව උප සභාපති එම්. එච්. එම්. සල්මාන් මහතා ජාතික ජල සම්පාදන හා ජලාපවහන මණ්ඩලයේ වැඩ භාර ගනියි. Distribution of Water Bousers worth Rs. 235 Million. Closing date of submission of Request for Qualification (RFQ) for Weliwita Bulk WS PPP is extended up to 20th March 2017. හෝමාගම මැතිවරණ කොට්ඨාශයේ හබරකඩ, රනාල ප්‍රදේශයේ නල ජල සැපයුම වැඩි දියුණු කිරීමේ ව්‍යාපෘතිය ජනතා අයිතියට පත් කිරීම. Water Conservation Programme Organized by National Water Supply & Drainage Board @ Department of Ayurveda - Nawinna on 15th December 2016. 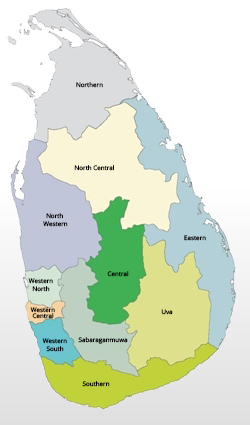 අම්පාර, මහඔය ජල යෝජනා ක‍්‍රමය විවෘත කිරීම. රුපියල් මිලියන 3126 වියදමින් මහනුවර දිස්ත‍්‍රික්කයේ ගලගෙදර ජල සම්පාදන ව්‍යාපෘතිය ආරම්භ කිරීම. 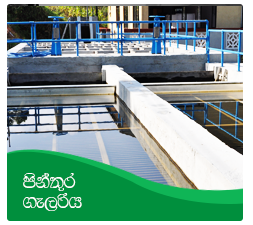 Mobile service to resolve drinking water problem of the people in Kandy. GKWSP introduces a new approach to NRW prevention programme. ජාතික ජල සම්පාදන හා ජලාපවහන මණ්ඩලය ඩෙංගු මර්ධනයට ඵක්වෙයි. කැළණි ගඟ දකුණ ඉවුර ජල සම්පාදන ව්‍යාපෘතිය දෙවන අදියර නගර සැලසුම් හා ජල සම්පාදන අමාත්‍ය ගරු රවුෆ් හකීම් මැතිතුමාගේ සුරතින් 2016. ජුලි 8 සිකුරාදා පෙ.ව. 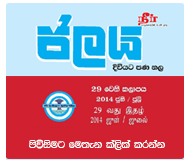 9.30 ට ආරම්භ කරන ලදි. 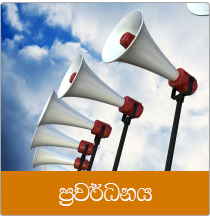 යාවත්කාලීනය : 25 April 2019. 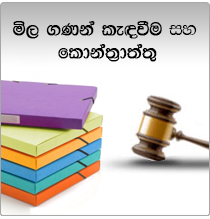 කතුහිමිකම © 2014 ජාතික ජලසම්පාදන හා ජලාපවහන මණ්ඩලය.